How to display your child’s artwork without damaging the walls! There are lots of great ideas on how to display your child’s art work. There’s only so many pieces that you can attach to the fridge with magnets, so why not hang some in their rooms where they can admire what they’ve made! Some ideas include using curtain rails but those (although sturdy) require drilling holes into the wall which isn’t a great idea if you’re renting. The solution is to use hooks with a removable, damage free, adhesive backing. Tie some pretty coloured wool between the hooks and peg up your child’s beautiful creations! Also check out these totally adorable decorative clips on AliExpress for US$3 and free international shipping! Have you ever seen those PinInterest posts where they talk about how easy it is to make your own crayons? They tell the truth! These are a great idea for a special & personalized gift, or as favours in homemade christmas crackers (bonbons), or just because it’s a rainy day! Be careful to choose one that can go in the oven. This can be a great way to use up spare crayons or crayon ends. Break your crayons into small pieces (i.e. adult thumb nail); you may need to use a knife. Add sparkles & glitter shapes if you want. Bake in the oven at 200’C. Keep a close eye on them as you only need it in there until the crayon has melted into a thick liquid (i.e. you’re not trying to get it to bubble & boil). Pop out of the moulds and have fun! Hint: Wondering what to use the silicon mould tray for afterwards? It’ll probably need to get relegated to your arts & crafts box (rather than cooking in the kitchen). 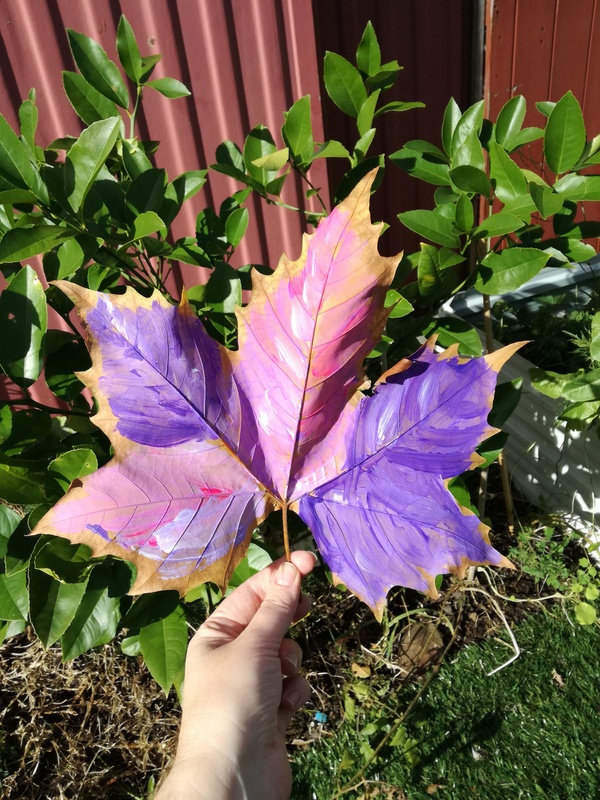 The good news is that it’s great for paint! 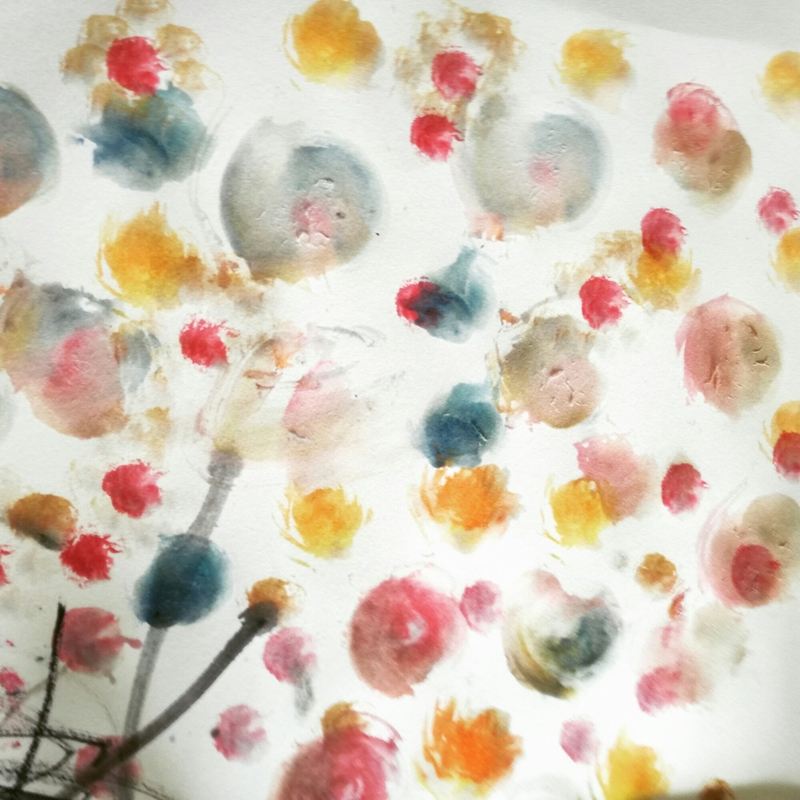 Watercolours are a great form of indoor painting. They’re much less mess than poster paint and easy to wipe up if you’re using a plastic mat or lino. They also handily come with a whole palette of colours! These are great for encouraging creative messy play, colours (and colour mixing), fine motor control, and learning a process. Encourage them to go: paint, paper, water, paint etc. I find an old glass baby food jar ideal for washing brushes. It’s best to put only a tiny amount of water and change it frequently (that way there’s less to clean up if it gets knocked over!). Watercolours will often come with a small brush. 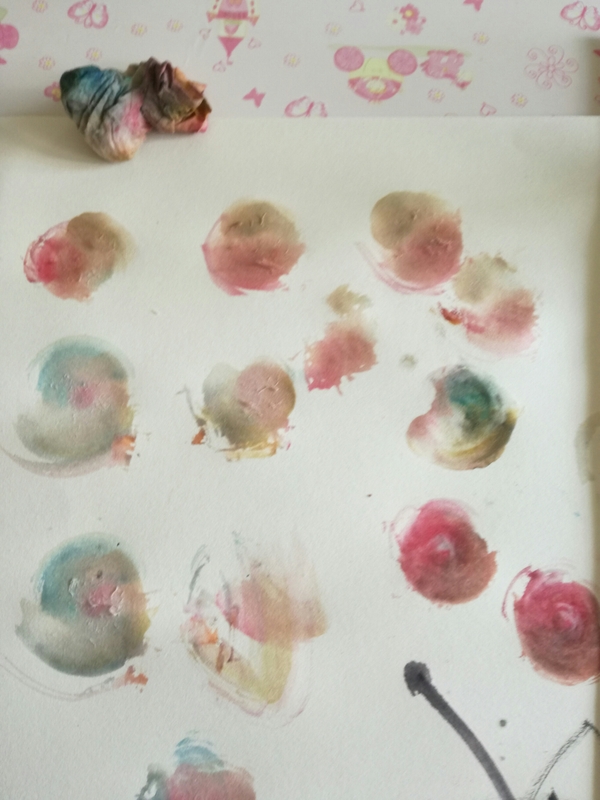 You can also experiment with other brushes, fingers, even a wet wipe will provide cool textures and colour mixing! 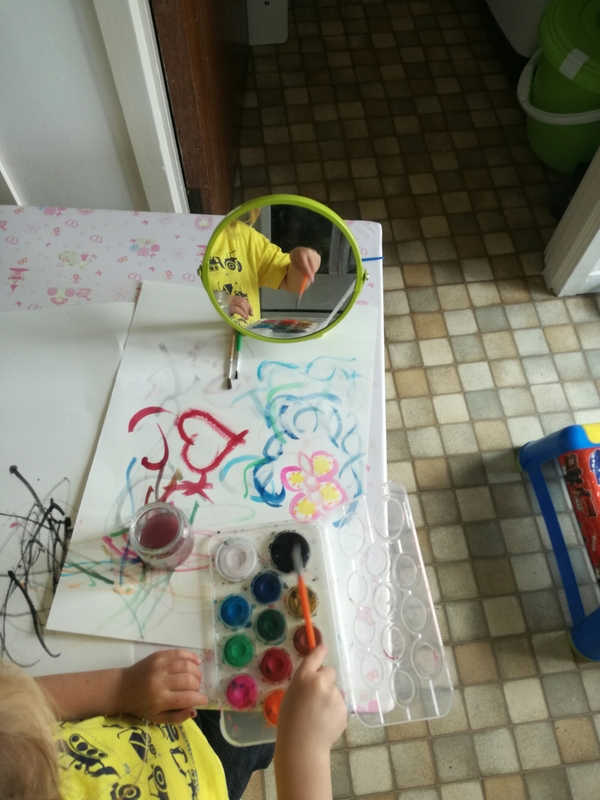 If you’re toddler loves painting themselves and is going to do so anyway, why not support them in their experiment and try putting our a hand mirror so that they can see what they’re doing. Supervision, support, encouragement, and modelling is important for toddlers. It can take a while to learn that the brush needs washing or that it’s not a good idea to smear black paint over all the other paint colours on the palette. On the bright side, they’re easy to wipe with a tissue or wet wipe to get back to a ‘purer’ colour.